I don't want to be a Cody Member. How do I cancel my membership? No worries! 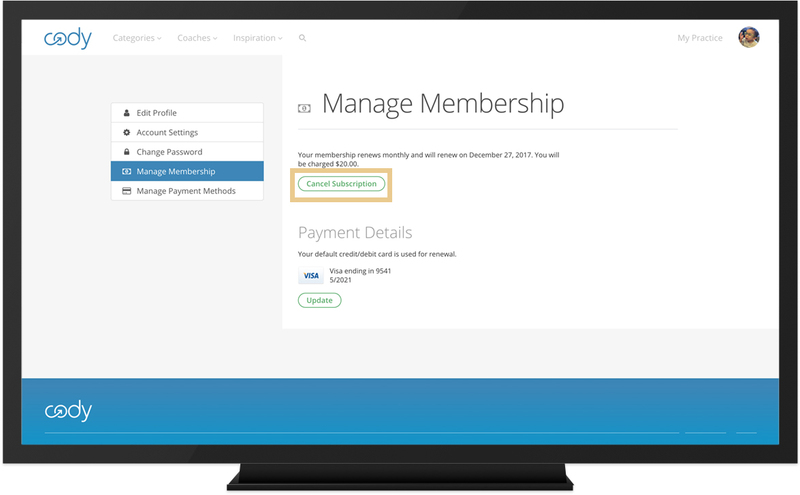 You can cancel your Membership at any time by heading here, and your credit card will not be charged for the upcoming monthly fee. After cancelling your account, you will be able to access Cody until the last day of your billing cycle, and will not receive a refund for the current month. For example, if your billing was on the 22nd of every month, and you chose to cancel your subscription on the 12th, you will have access to Cody through the 21st of the following month. I signed up for a Cody Membership in app, how to I cancel?